The below policies are just a legal formality, but I encourage you to read over them as they protect both you and I. This is a personal blog. I am not an expert on faith, marriage, or parenting, but I’ll share wholeheartedly what God has shown me in my life of 30+ years. You, the reader, are reading my blog of your own free will- THANK YOU FOR READING!– so I will not be held liable for any content on this website. My intent is to edify you, the reader, not to cause harm. This blog has no intentions to malign any religion, ethnic group, club, organization, company, or individual. All content on this website is protected by Copyright. You may share content from this website as long as you credit the author and website as the original content owner. For questions, you may contact me at amy@faithfamilyfirst.com. Your information is private. I will not sell any of your personal or contact information to another company or entity. I will not put your information on spam lists. I am not responsible, however, for the privacy practices of any of my advertisers, affiliates, blog commentators, or guest bloggers (see also #4 and #5). This blog is GDPR compliant. If you are a subscriber of this blog who resides in the EU, and you believe you are receiving unsolicited content, please contact me via my Contact Page or email me at amy@faithfamilyfirst.com, and let me know which specific content you would like to receive. You also have the option of unsubscribing. 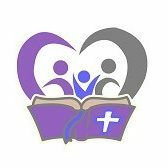 This blog publishes content about Faith; Family/Parenting (including Faith); Marriage (including Faith); and Giveaways. Affiliate Links, Advertisements, Sponsors, etc. You might see separate links or downloadable files for other companies, products, organizations, blogs, etc. Clicking or viewing these links are at NO cost to you unless you choose to purchase a product from an Affiliate Link. Faith & Family First is a participant in the Amazon Services LLC Associates Program, an affiliate advertising program designed to provide a means for sites to earn fees by linking to Amazon.com and affiliated sites. Faith & Family First has also been an affiliate for The Faithful Merchant and Connected Families. Affiliate commissions and Ads help keep this site running. I am not responsible for the actions, products, or services of the aforementioned entities, nor am I responsible for any damages or injuries (including viruses) caused by any links or downloadable files. I do not endorse or recommend any of the aforementioned entities unless otherwise specifically stated on this website. I welcome your comments! I want this blog to encourage conversations and community among its readers. I reserve the right to delete any comments that contain profanity or are offensive in nature. If you directly comment on a blog post, your comment will be visible to the public, and other commentators are free to respond to your comment if they choose to do so. I will keep all emailed comments confidential, which means I will not share or re-print any emailed comments without your written permission.